Paulette Rowe joined Barclays in 2012 as Managing Director of Barclaycard’s Global Payment Acceptance Paulette has a wealth of financial services and management experience. As MD of Barclaycard Global Payment Acceptance, she heads Europe’s 2nd largest acquiring business handling over 1 in 3 card payments in the UK and The Logic group – Barclaycard’s newly acquired Gateway. 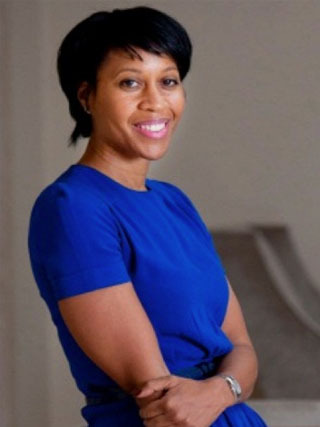 Prior to joining Barclaycard she was Strategy Director for NBNK, an AIM-listed financial investment company. The bulk of Paulette’s career has been in consumer banking with the RBS Group and General Electric. Paulette worked at GE’s financial services division, GE Capital, in a variety of international markets including the US, France and Japan. At RBS, Paulette was Managing Director of NatWest Retail Banking, responsible for 1,600 branches and 20,000 staff and then Chief Executive of RBS European Consumer Finance. Paulette currently chairs children’s charity, the Mayor’s Fund for London.